From Woonsocket to Westerly, Haunted RI takes viewers to some legendary and some unfamiliar Rhode Island sites of reported paranormal activity. Haunted RI - it's where history meets mystery, the historical greets the hysterical. It's fun, surprising, informative - and brought to you exclusively by WSBE Rhode Island PBS. The dense forests that line Tucker Hollow Road and Ramtail Road in Foster, Rhode Island, have been the setting for more than one story involving the restless dead. Ghosts of perished mill workers and the haunted graves of plague victims are commonly found there among the ruins and forgotten gravesites scattered through these woods. Yet, of all these hauntings, no name has earned itself more prominence – and confusion – among the Fraternity of the Restless than Dolly Cole. Fact mixes with fancy, maybe even fantasy, as is typical of legends passed down through generations. Dolly Cole was a witch, a vampire, a murdered prostitute who dressed in men's clothing... She lost her daughter – or maybe it was a son – in a fire set by neighbors afraid of this Witch of Foster. She was murdered in the woods at age 27; she drowned in the stream near her house; she is the “Woman in White” seen by hunters, fishermen, and local residents for years. Some witnesses were alone, some were in groups, all were chilled by their encounters and reluctant to speak of them above a whisper. In the company of Andrew Lake and Thomas D'Agostino, explore the landmarks and sites of the reported apparitions. Along the way, hear stories of specters and oddities from Foster resident and white witch, Pat Morgan. 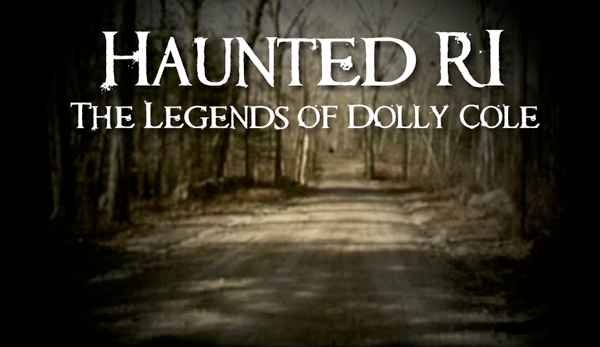 Join filmmakers and students of the paranormal, Jason Mayoh and Christian White, as they sort out The Legends of Dolly Cole. Hopkins Mill Area - The first reported sighting of Dolly Cole took place here and sightings of a female apparition continue this day. Dolly Cole Hill - Famously or infamously named after Dolly Cole. Her ghost is said to walk here. Ramtail Bridge and Swimming Hole - More female phantoms have been seen here. Could this location hold the truth behind the hauntings of Foster's waterways? Tucker Hollow Road - More hauntings, murders and witchcraft? Hopkins Mills is a linear rural district in northeastern Foster; it stretches along Old Danielson Pike for a distance of about one mile between its east and west intersections with Danielson Pike, Rhode Island State Route #6, which bypasses Hopkins Mills to the south. Old Danielson Pike arcs north in a gentle curve through the. district, whereas the newer Danielson Pike follows a straighter path. The district reaches south along Ram Tail Road for approximately a quarter mile. The district includes a much-reworked site which was the location of eighteenth-century saw- and gristmills and iron works, and a small village of about thirty buildings which grew up in the eighteenth, nineteenth, and early twentieth centuries along the turnpike passing south of the site. The eastern entrance of the district is marked by the "Dolly Cole" House Map #1, a mid-nineteenth-century structure. The district stretches along the turnpike which is lined with buildings set fairly close together -- several houses, a church, several barns, two stores -- to the Ponagansett River as it leaves Hopkins Mills Pond and flows south through the district. At the mouth of the pond is the Hopkins Mills Pond. The western section of the district is lined with several houses and an early nineteenth-century schoolhouse, but the structures are less closely spaced on this end of the pike. A fine Federal house marks the western end of the district near the intersection of Old Danielson Pike and its newer bypass. A short stretch of Ram Tail Road south from its intersection with Old Danielson Pike is also included; along this road are the Hopkins Mills Cemetery and the village's Grange Hall. One of Foster's earliest houses is located in the district, the Hopkins-Potter House, built c. 1720. The village is clearly oriented toward the turnpike which encouraged its development, but is surrounded by farm fields and woods which preserve its agricultural setting. Few buildings have been constructed since the 1930s; Hopkins Mills is relatively unchanged and retains the sense of a bypassed hinterland hamlet.